Some clouds. Low near 60F. Winds SE at 5 to 10 mph.. Some clouds. Low near 60F. Winds SE at 5 to 10 mph. Robert J. “Bob” BeaudoinRobert J. “Bob” Beaudoin, 66, passed away March 4, 2019, in Tampa, Fla. He was born in Endicott, N.Y., on May 2, 1953, to Robert A. (deceased) and Betty A. Conklin Beaudoin. Bob moved 20 years ago from New York to Fort Ogden, Fla. He was of the Protestant faith. Mr. Beaudoin was a very hard-working and loving husband, father, grandfather and friend and will be greatly missed. He worked for many years at Smith Ranch and Feed before his health required him to retire. His greatest love was his family and spending time with them. He enjoyed working around his home, gardening or taking a drive down our scenic roads on his prized Harley-Davidson motorcycle. He is survived by his loving wife, Cynthia K. Beaudoin of Fort Ogden; a son, Cody J. Beaudoin of Fort Ogden; daughter, Stephanie Ray Tiller of Venice, Fla.; mother Betty A. Beaudoin; five brothers, Dan A. Beaudoin of Fort Ogden, Charlie L. (Robin) Beaudoin of Berkshire, N.Y., George J. (Jennifer) Beaudoin of Newberry, S.C., Donny B. Beaudoin of S.C., and Christopher A. (Dawn) Beaudoin of McGraw, N.Y.; and three grandchildren, Kayla (Josh) Gold, Hunter R. Zirkle and Addison A. Beaudoin. Bob was preceded in death by his father, and a son, Gary C. Wilson Jr.
Visitation will be held (Friday) March 15, 2019, from 6-7 p.m. at the chapel of Ponger-Kays-Grady Funeral Home, 50 N. Hillsborough Ave., Arcadia. A memorial service will follow at 7 p.m. at the chapel, with the Rev. Ellis Cross of North Hillsborough Baptist Church officiating. Online condolences may be made at pongerkaysgrady.com. Ponger-Kays-Grady Funeral & Cremation Services have been entrusted with the arrangements. Reuben Huston RobinsonReuben Huston Robinson was born in Wilcox County, Ala. He went home to be with the Lord on March 6, 2019. Reuben resided in Nocatee, Fla.
Mr. Robinson had served with the U.S. Army and was a proud veteran. He worked as a foreman for MacBee Brewers Citrus for over 50 years. Reuben enjoyed time with his family and friends. He enjoyed cookouts and BBQs. Reuben is survived by his daughters: Pamela Marshall (Michael) Bright, Ruby Jean Robinson and Betty Holloman; sons, Chris (Acashia) Scott and Rashad (Carissa) West; sisters, Doris Naomi (James) Ross, Georgeanna Chapman, Willa (John) Mchone and Ruth Fortner; and a host of grandchildren, nieces and nephews. Viewing will be (Saturday) March 16, 2019, at 10 a.m., followed by a Home Going Celebration at 11 a.m. at Allied Church of God in Christ, 151 N. Polk Ave., Arcadia. Pastor Rosa Felton will officiate. Kermit Edward “Eddie” RoanKermit Edward “Eddie” Roan, 78, passed away at home on March 2, 2019, surrounded by his loving family. Mr. Roan was born on Dec. 1, 1940, in Arcadia, Fla., to Kermit and Amy Stroble. After graduating from DeSoto County High School in 1958, Eddie attended Manatee Community College. He also served with the U.S. Army National Guard. Eddie was deeply rooted and devoted to DeSoto County. 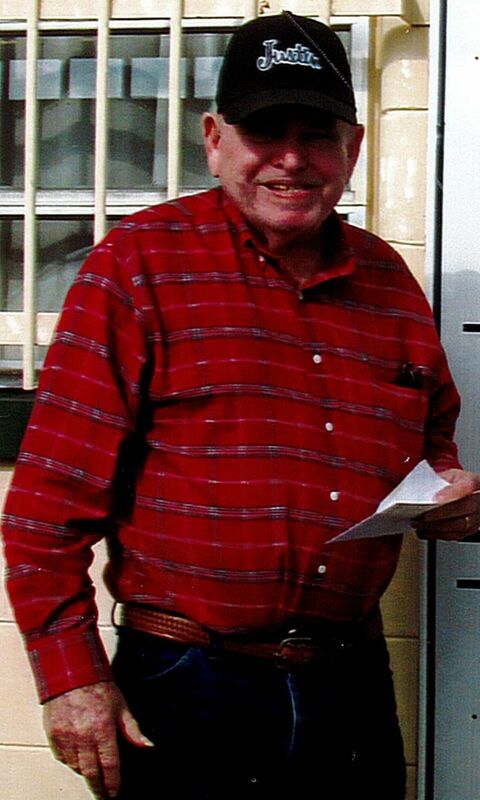 He spent over 47 years in business operating Roan Land Surveying. He also supported his community by serving as a county commissioner from 1981-1990. When Eddie was not working, his greatest passion was hunting and fishing. Mr. Roan is survived by his wife and best friend of 57 years, Azeline “Ann” Roan; daughter, Angela (Will) Waters; a granddaughter, Willow Waters. Eddie is preceded by his parents: Kermit and Amy Stroble and Lewis and Ruby Roan; a sister, Francine Clark; and a grandson, William Edward Waters. Services were March 7, 2019, at Ponger-Kays-Grady Funeral Homes, Arcadia. Burial was to follow at Mercer Cemetery, Zolfo Springs, Fla.
Online condolences may be made at www.pongerkaysgrady.com. Ponger-Kays-Grady Funeral Homes has been entrusted with arrangements. Sarah Elizabeth DickensSarah Elizabeth Dickens, 64, of Hollywood, Fla., is now with her Lord and Savior dancing the night away! Sarah passed away on March 10 from her over 20-year battle with Parkinson’s disease. Ms. Dickens was born in Statesboro, Ga., to Ernest and Norma Jean Blitch on May 7, 1954. She graduated from Miami Central High School. She married Steve Dickens on Oct. 3, 1974, in Miami. Sarah was a self-proclaimed “domestic engineer” and devoted her life to her family. Sarah is preceded in death by her brother, Robert Blitch, and her father, Ernest Blitch. Sarah is survived by her husband of 44 years, Steve Dickens; her children, Sylvia Dickens Farber and DJ Dickens Lagos; her brothers, Bill, Donnie and Vernon Blitch; her sister, Tina Blitch; her mother, Norma Jean Blitch; and her six grandchildren. Memorial services begin at 10 a.m. March 18 at Fred Hunter Funeral Home, 6301 Taft St., Hollywood, Fla., with a reception to follow. In memory of Sarah, the family asks you to make time during your gift of life to dance and sing, even if off-key! In lieu of flowers, donations may be made to Michael J. Fox Foundation for Parkinson’s Research at michaeljfox.org. Ponger-Kays-Grady Funeral Homes & Cremation Services is taking time this month to remember two people very special to us. Ed and Joyce Ponger dedicated themselves to their communities through their family business and left behind a legacy of care, dignity and service. Though it has been two years since we said goodbye to Mr. and Mrs. Ponger, we remember them as if we saw them yesterday, and hope to carry on their legacy for generations to come. With love, the Ponger family and all the staff at Ponger-Kays-Grady.